Here are some extra activities that you may wish to use with your classes when looking at the different topics within the Young People's Zone. You can print and photocopy class sets of any worksheets included in the Young People's Zone. Use the Internet safety tips page and get students to design a poster or screensaver than can be used to promote internet safety. Use the information on 'Calling police' page. Practice ringing the police. The teacher can take on the role of the police, with the student having to report an accident or incident. Give the students different emergency and non-emergency scenarios and ask them to nominate the correct number they would call. Students use this site to complete the quiz questions on 'Quiz' page. Students complete the word search, maze and colour in activities on the 'Cool stuff' page. Students design their own logo for the WA Police Force, justifying their decisions. 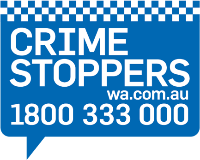 See the 'WA Police Force logo' page for reasons why the original design was chosen. Put students into two groups, who will be competing against each other. One representative from each group face off. The teacher calls out a letter and the first student to call out its phonetic word wins a point for their team. Rotate students. For a written activity, the teacher can call out class members names and students have to write each name phonetically. Put students into groups and allocate each group a different topic e.g. WA Police Force Dog Squad or WA Police Pipe Band. They have to read the 'Young People's Zone' and record key information on paper. They then use this information to provide a summary/short presentation to the class on their topic. We have developed a range of activities for you to complete either at school or at home.